On the 10th, 11th, 13th and 19th of February 2014 the outreach team visited their usual place, Avenor, for their usual evangelistic and follow-up activities. Tracts were as well distributed. 53 people were ministered with 41 receiving Christ. Those who received Christ were directed to the office for further studies and prayers. 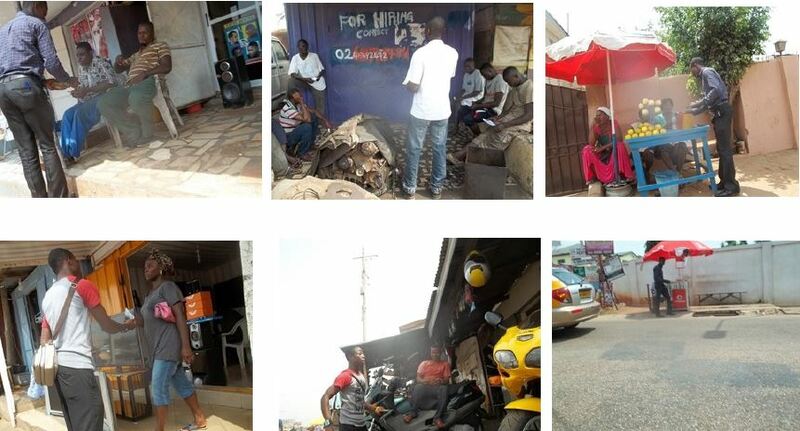 Today, 24th of February 2014 the team went out on evangelism. 15 people were spoken to with 9 receiving Christ including one young man from D. R. Congo. Tracts were distributed during their rounds. A total of 50 new names were written in the Lambs Book of Life during these few days in February!